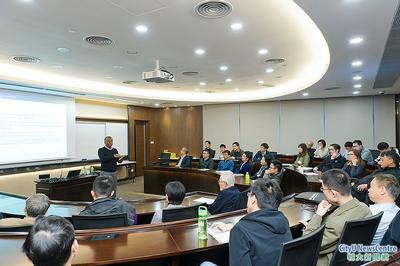 A renowned scholar in operations management delivered a distinguished lecture held by the Institute for Advanced Study at City University of Hong Kong on 15 December. 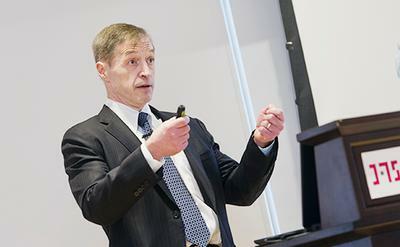 In the monopoly pricing situation, firms optimally vary prices to learn that demand and variation must be sufficiently high to ensure complete asymptotic learning, according to Professor Birge. 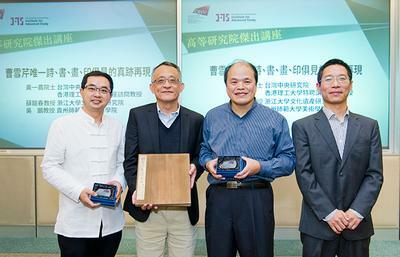 Three eminent scholars from the mainland and Taiwan jointly delivered a lecture titled "Rediscovery of an Authentic Artwork by Cao Xueqin: A Sole Piece of His Poetry, Calligraphy, Painting and Seal" for the Institute for Advanced Study (IAS) Distinguished Lecture Series at City University of Hong Kong (CityU) on 13 December. On 7 December 2016, IAS Senior Fellow Professor Ovid J.L. 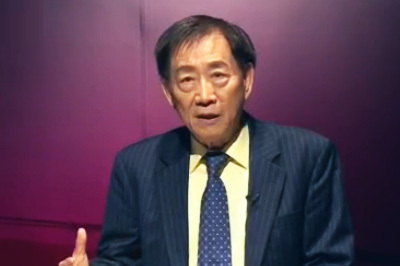 Tzeng received a formal letter from Professor Dr. H. C. Felix Unger, President of the European Academy of Sciences and Arts, informing him of his election as Member of the Academy. President Unger also invited Professor Tzeng to journey to Salzburg in March 2017 in order to receive a medal honoring this achievement, as well as devote future efforts to the causes of promoting the Academy's new NEXT EUROPE project and the Alma Mater Europaea program dedicated to cultivating young talent. 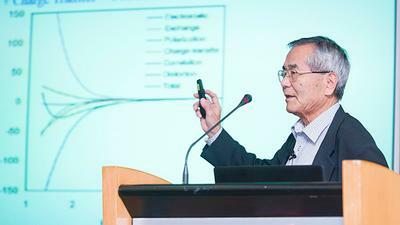 Nobel Laureate in chemistry, Professor Ei-ichi Negishi, delivered a distinguished lecture titled "Magical Power of d-Block Transition Metals- Past, Present and Future" and met a group of students at an event held by the Institute for Advanced Study at City University of Hong Kong (CityU) on 1 Dec. 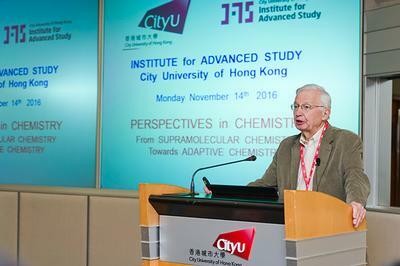 The two-day Institute for Advanced Study (IAS) Symposium on Chemistry of Complex Matter at City University of Hong Kong (CityU) kicked off with a Nobel Laureate’s distinguished lecture on 14 November. The symposium invited scholars and renowned chemists from Europe and China to share their academic discoveries through a series of lectures delivered during the event. 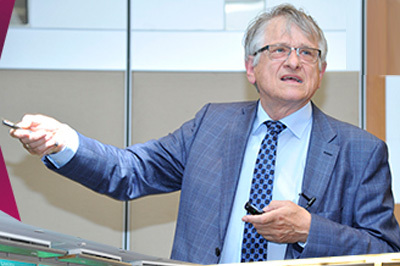 A​ Nobel Laureate in Physics discussed how fundamental questions about light have shaped our vision of nature at a distinguished lecture held by the Institute for Advanced Study (IAS) at City University of Hong Kong (CityU) on 26 October. 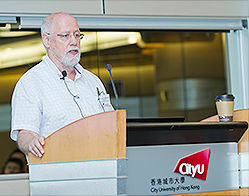 Two renowned engineering scholars delivered lectures on service systems and technology breakthrough, respectively, at two distinguished lectures at City University of Hong Kong (CityU). 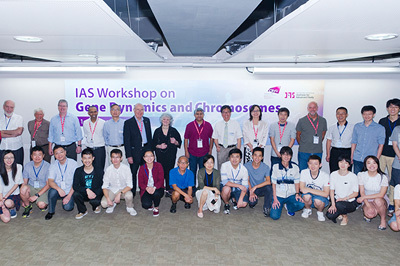 Leading scientists from various fields exchanged insights on recent developments and the challenges in the field of genes and chromosomes at a five-day workshop from 11 to 15 August at City University of Hong Kong (CityU). 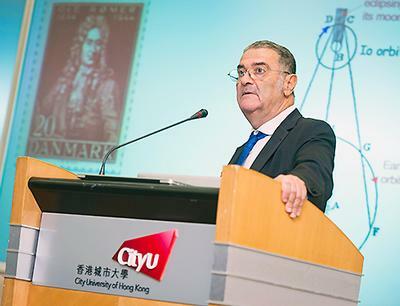 The new International System of Units (SI units) will be based on constants of nature which are the most stable quantities, suggested Professor Dr Klaus von Klitzing at a distinguished lecture held by the Institute for Advanced Study at City University of Hong Kong (CityU) on 28 July. 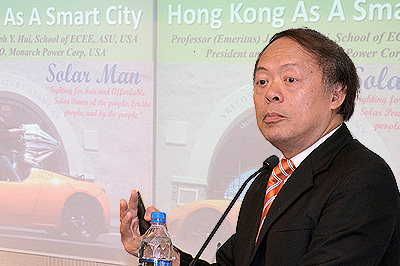 Hong Kong should turn itself into a smart city by developing advanced, clean and stylish energy, suggested Professor Joseph Y. Hui at a distinguished lecture for the Institute for Advanced Study at City University of Hong Kong (CityU) on 6 July. 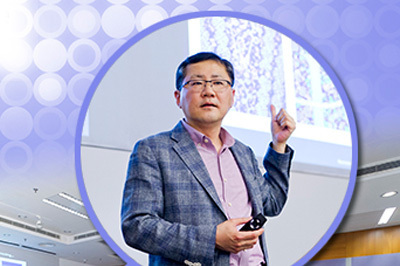 The study on new nanoscale structures and tools has enabled the development of spanning quantum optics, plasmonics, immunology and neurobiology, according to Professor Park Hong-kun at a distinguished lecture for the Institute for Advanced Study at City University of Hong Kong (CityU) on 1 June. 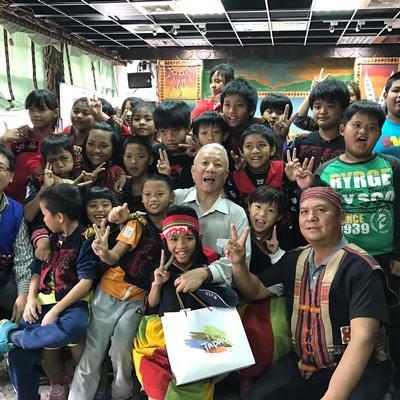 IAS Senior Fellow Professor Liu Chain-tsuan was invited to share his views and insights on the correlation of materials, civilization, and technology innovation at Run Run Shaw Creative Media Centre in 2016. 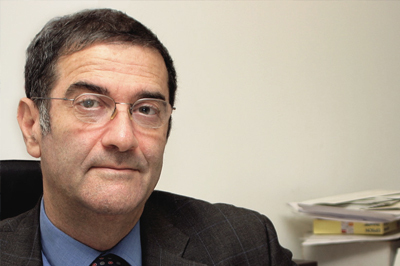 IAS Senior Fellow Professor Serge Haroche was awarded the 2016 IEEE (Institute of Electrical and Electronics Engineers) Honorary Membership for the development of cavity quantum electrodynamics, leading to fundamental quantum physics studies and to a wide range of applications. 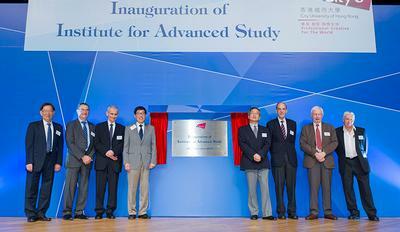 IAS marks a new phase in the promotion of innovative research in Hong Kong by world-leading scholars to address critical global challenges. The heart of an inventory model is the modeling of the supply and demand functions, according to Professor J. George Shanthikumar at the inaugural Distinguished Lecture for the new Institute of Advance Study (IAS) at City University of Hong Kong (CityU) on15 March. 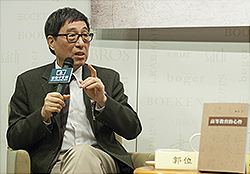 The development of "soulware" is essential for cross-strait higher education institutions aiming for world-class status, according to Professor Way Kuo, President of City University of Hong Kong (CityU), at a launch ceremony on 8 March for his new book titled The Soulware within Higher Education.